My Condo Windows Leak - Now What? You loved the place and could afford it. You bought the home of your dreams and moved in. 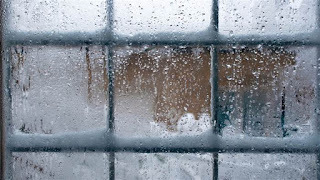 Then came the first winter and the windows leak, air, water, heat and anything else that can pass through the cracks. What are you going to do? You live in a condominium, which belongs to a homeowner’s association (HOA), so your first instinct is to contact them. Your window replacement options will vary depending on the number of units (condos), the age of the buildings, the number of stories and/or the unique bi-laws of your association. Generally speaking, homeowners, that would be you, are responsible for replacing your unit’s windows within guidelines that pertain to matching the existing windows and maybe newer energy regulations. It is common however for an HOA to organize an association-wide replacement project charging each unit their portion of the total cost. Let’s assume you’re handed a HOA window replacement guide, including requirements, and told that it’s up to you to replace your old leaky windows. Drafty Windows Letting the Winter in? Tired of a drafty house? Tired of taping gaps around your windows? Tired of winter already when it’s only January? Can’t see out your windows? Condensation dripping down your windows? The weather outside shouldn’t appear on the inside. If you’re constantly chilly the culprit may be your old windows. 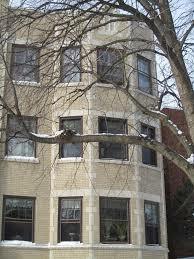 If your windows are letting the winter in - it may be time to replace your old windows. Inefficient windows leak cold air and moisture. Sustainable Windows - What's New? Windmills in the back yard, rain barrels under gutters, and concrete front lawns, it’s looking like more homeowners are joining the sustainability movement. Sometimes these obvious efforts to do the right thing can seem extreme. When it comes to home building or remodeling, sustainability starts by critically thinking about how windows affect a home’s overall climate. 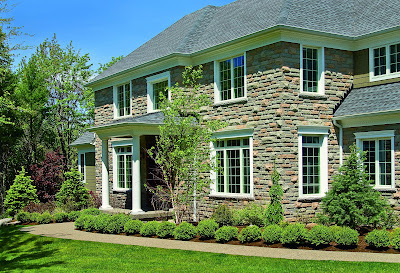 Windows typically comprise 10-25% of a home’s exterior wall area, and in a climate like ours, they can account for 35-50% of the heating and cooling needs of the home. When you’re ready to remodel or build a new home talk to architects and builders who understand sustainable design and enlist them to help you create a three step balanced approach to sustainability. When we think about remodeling our homes, we imagine a kitchen, bathroom, more space or maybe an outdoor patio. Few people dream about remodeling their home’s infrastructure, windows, doors, siding, heating and cooling systems, that sort of thing. The secret to no regrets remodeling is to start with basic home improvement and finish with the nice to have luxuries. It’s a well know fact among realtors and contractors that homebuyers prefer homes that have been well maintained. 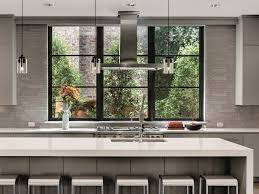 If the windows are leaking or the patio slider won’t slide, buyers don’t care how beautiful the kitchen is. Buyers want the basic systems to work, well aware that maintenance can be costly, and people are afraid of that. On the other hand, if a buyer knows they don’t have to spend money replacing the basics, they’re more likely to buy the house and dream of their new kitchen. We should have changed our windows rather than simply replace them when we had the chance. We’ve all heard this lament at sometime from a homeowner who completed a major remodeling project. Today, more than ever, homeowners contemplating a window replacement or general remodel project need to listen to this cautionary tale. When it’s time to replace your windows, seize the opportunity to enhance the look of your home, do not just replace your windows. It’s likely that 75% of the windows in your home as they were originally installed are still functionally adequate for your lifestyle. However, it’s likely that there are rooms, which could be visibly enhanced with a different style window. Consider casements to replace double hung windows, so you don’t have to climb on your kitchen counters to open a few windows over the sink? Maybe, the stationary transom window above the entry door could be replaced with an awning inviting fresh air to flow through your home? Or maybe it’s time to update your home’s curb appeal with a more contemporary look by selecting new windows that have minimal detailing and integrated window coverings? Simple changes can yield dramatic results. How do I know if my windows need to be replaced? It’s a question we get nearly every day and I must admit that when I hear that question a song plays in my head. The song goes something like this; to everything there is a season…a time for this and a time for that. That sentiment is indeed the best way to answer the question. Everything eventually wears out and is replaced with something else. In the case of windows that ‘something else’ is far and away better than what it is replacing. Older homes often have extremely durable original wood windows that with regular maintenance and repair can last 100 years. On the other hand, homes built within the past 50-60 years usually require wood windows to be replaced around 20 years after installation. These wood windows are more prone to rotting primarily due to the fact the wood is not old growth and so not the hardwoods of yesteryear. Additionally, techniques such as finger joints and the environmental restrictions placed on paint ingredients, reduces the paint’s preservative and anti-microbial properties. While it’s possible to repair surface damage caused by mold, wood rot or cracks, these may be an indication of deeper damage or a precursor to future infrastructure damage because the window system is slowly failing. The most important thing to determine is whether the surrounding structure of the home has sustained any damage. Inefficient windows can leak, allowing water to enter your house both in front of and behind the walls, inviting mold and mildew to grow. Replacing Your Windows? Review the Advantages of Vinyl. 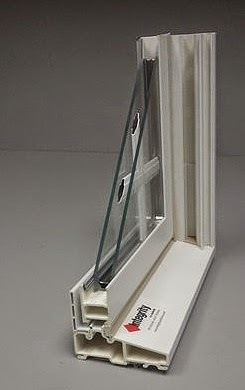 Replacement window frames come in a number of different materials and for some homeowners’ vinyl maybe the best choice. While clad-wood and fiberglass each offer a menu of finishes or custom styling, vinyl comes at a price that is hard to beat. Homeowners who need to replace old worn out windows, on a fixed budget should consider vinyl-frame windows as a suitable choice. If Woodland Windows and Doors didn’t think so, we wouldn’t include them among our selection. Vinyl-frame windows first appeared in the 1970s when small manufacturers began to offer an alternative to wood windows. Vinyl (PVC) Poly Vinyl Chloride is a durable material that has gained popularity as a building material for a variety of purposes in recent years. There are clear advantages to vinyl windows such as, less expensive than wood, don’t absorb moisture, don’t rot, don’t need to be repainted and offer improved thermal efficiency. However, just as a vinyl deck looks and feels like plastic and not wood, the biggest drawback for many homeowners upon seeing vinyl windows is that they do not have the character of wood. So for durability and strength, low maintenance and energy efficiency, we give vinyl windows high marks. If you have an older home, many homeowners find it difficult to find a color that matches their style. Vinyl windows are not as strong as clad-wood windows, can appear thicker than other window types and can’t be repainted. The relatively short 45-year history, compared to the history of wood windows provides us with only limited data about the long-term performance. How will these modern vinyl windows look and perform over time? To bridge this uncertainty gap, it’s critical that the vinyl window you choose is certified by the American Architectural Manufacturers Association (AAMA) and is made by a reputable well established manufacturer with a track record. This is what Woodland Windows and Doors did when we added a vinyl replacement window to our product line in order to meet the needs of every customer. The Woodland Vinyl Replacement window meets the AAMA certification test and comes in a variety of profiles fit for classic homes. Our windows offer fusion-welded master frame and sashes, five exterior colors, energy efficiency features, tilt sashes, and come in double-hung, casement, sliders, awnings, and bow and bay styles. We’ve put our name on the very best choice in vinyl windows in order to bring the best value to our customers. Vinyl windows don’t have the 160 or more year track record of wood windows, but our selection, which Woodland will install with care, may make modern vinyl windows the right choice for you. Replacing Your Windows? Review the Advantages of Fiberglass. In last weeks post our aim was to sort out the confusing world of replacement windows. Customers come into our showroom often confused because of all the erroneous information out there. Our blog post focused on the advantages of clad-wood replacement windows, which most people consider the premium choice. Like the word premium means, homeowners who select clad-wood elect to pay a little extra for features they deem essential or aesthetically valuable. Fiberglass or composite replacement windows can offer a worthy budget alternative to clad-wood. What is essential or aesthetically enhancing for one home, may not apply to another because homes and lifestyles differ. 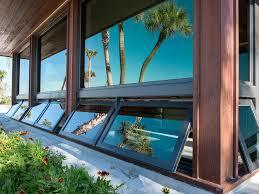 The two primary differences between clad-wood and fiberglass or composite replacement windows, are price and options. Wood-clad is more expensive than fiberglass or composite and may offer options that more closely suit your existing home. Still, what comes as a surprise to most people is that fiberglass or composite windows offer several options as well, like a wood interior for example or multiple paint finishes. Fiberglass or composite is the newest replacement window material to come on the scene at a price between clad-wood and vinyl. All replacement windows categorized as either fiberglass or composite are not created equal however. One of the challenges when comparing these windows is that composites are not all-alike making it difficult to compare apples to apples. The make-up of the frame will differ considerably between manufacturers and models further confusing things. You’ll find any number of descriptions such as, a mix of wood sawdust or fibers and extruded PVC or thermoplastic polymer. You may encounter descriptions like, chemically bonded blends of wood and plastic resins or a blend of wood chips and recycled plastic. Why do we feel happy when we walk into a model home? The best ones are the new high-end developments where the builders incorporate the latest features and materials. What you’re likely feeling is the sense of light, openness and a connection with the outdoors. How do they create that space? Today, home builders are using windows and doors in new ways that maximize the homeowner experience, leaving you wanting to move in. What if you could create this same feeling in your own home? When you get back home, take a close look at your home’s windows and doors? Do they look undersized, do your walls look barren without windows, is your sliding patio door original, so that a Hollywood film producer could select your house for a remake of a 1950’s family TV series? The feeling you had in the model home was likely because the windows and doors were chosen to obtain unobstructed views and lots of light. Manufacturers are making multi-panel glass and taller doors that flood rooms with light. If you want to achieve this look and feel in your home, begin by researching the two standard styles of patio doors, the patio slider or the French swing door(s). Within these two general categories you’ll find a plethora of options such as, French style sliding patio doors with two, three or four-panel configurations, folding doors and pocket sliders. Generally speaking, most people select a slider in the bedrooms, kitchen or family rooms and French doors are preferred for the more formal areas such as the dining or living rooms. From the start, check your answers to a few key questions. √ What is the largest size that my current opening or wall can accommodate? √ What direction does the foot traffic flow through the room to the outside? 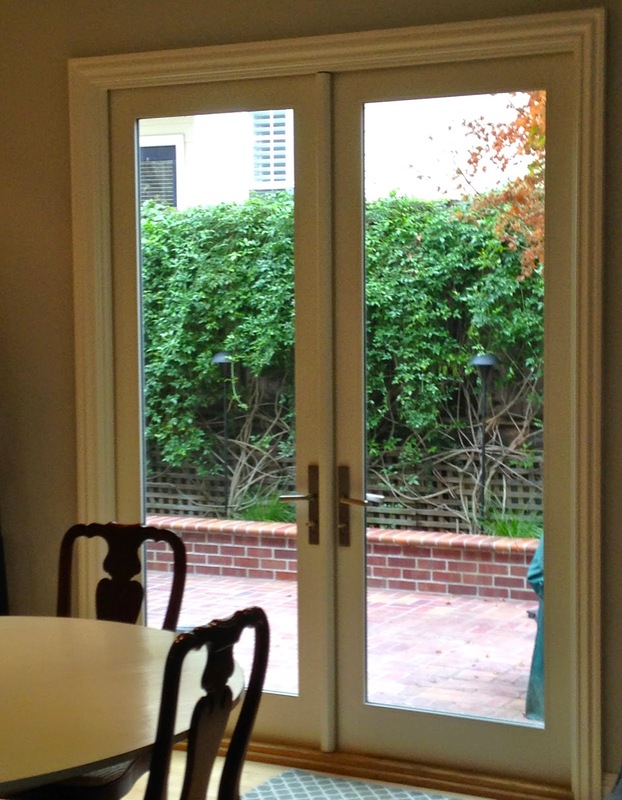 √ Is there space to open French doors into the room? Could one door open and the second door remain stationary? At this point you can check out the window showroom, because you have enough information to explore the best possibilities for your home. A few additional pieces of information will be needed before you proceed too far down the path. You’ll want to make sure your header is built according to code and has the proper load requirements for the wall. You’ll also need to measure the rough window openings from stud to stud. All of these are important perimeters that will allow you to choose from standard sizes rather than spending unnecessarily on custom sizes. Remember, when getting a window, write down the dimensions and always put the width first and the height second – always. Once you’re in the showroom, remember to aim high and settle on the tallest doors your room can accommodate functionally and aesthetically – 8ft, 9ft, or 10ft.? This one feature will do more to give you the open and expansive feeling of a newly built home. Marvin, and Andersen offer these 8ft heights as standard sizes while Pella can accommodate 8ft heights. Marvin’s Remodeling & Replacement solutions guide is a great place to orient you to the options. Remember, if you want that model home feel – you’ve got to aim high. Tired of a cold house? Tired of trying to heat a cold house? Tired of winter already when it's only January? Old leaky windows can account for as much as 10-25% of the heat loss in your home, so why wait until Spring to replace your old windows. Leave the cold outside. No gaping holes throughout the house. Woodland's installers work in teams replacing one window at a time. One installer works outside the window and one works inside. When ever possible, we close off each room we're working in to reduce the amount of cold air flowing through the house. Each window takes about 30 minutes and many homes can be completed in one day. The new windows are manufactured to 1/8" of your window opening. Our installers then add insulation around your window frame and the windows once they are in place to maximize energy efficiency. Homeowners feel the immediate effects of new windows in their homes. Update old painted windows with new finishes. Woodland's selection of stylish wood replacement windows from Marvin, Andersen and Pella means you can update the look of your windows. These new windows can be stained and varnished to the natural look of wood adding warmth and charm to your home. You may choose factory painted windows for the sleek and resilient finish of a contemporary look. Or maybe you want to match the current windows in your home - that's possible too. If you've read to this point, you probably need to call us 630.869.1450 and visit our website to learn more about replacing your windows. For 45 years, Woodland has made our customer's lives a little easier because we worry about all the details for you. See what people say about Woodland installers. There are three main materials which today’s manufacturers use to make replacement windows: vinyl, aluminum, and wood. Each material has its own pros and cons. At Woodland Windows, the popular material used for replacement windows is vinyl. Vinyl windows made are from polyvinyl chloride (PVC)—a plastic material. So why is this material popular? You will be surprised to find out that replacing your old windows with new efficient ones can bring a significant change in the general appearance of your home, in addition to saving you money on monthly utility bills. Of course, there are many options when it comes to replacement windows today, including wood, vinyl and aluminum windows. Installing high efficiency windows in your home will not only improve your property's curb appeal and save money, it also adds to the value of your home. Homes lose over one third of their heat through their doors and windows, according to the Energy Information Administration (EIA). But you can address this problem and save money by having your old windows replaced. Although new energy efficient replacement windows are pretty expensive to purchase, in the long run, the savings you’ll make on your heating and cooling bills will surely offset the initial cost of purchasing them. Installing new windows will also boost the overall appearance of your home, and increase its value. Today there are still many homes that are installed with old-fashioned windows which are far more ineffective when it comes to thermal regulation. In other words, they are not all that great at making the house cooler during the hot weather or warmer during the cold weather. By having these old windows replaced with modern, double or triple-paned windows, you can enhance the general appearance of your home as well as save money on your heating bills. When it comes to replacing older windows in your home, there are lots of factors to consider. You will think of things like color, shape, style, and which Wheaton home remodeling company you want to hire to install them for you. However, the type of material used to craft the window frame is arguably the most important factor when choosing which window to install in your house. There are three popular materials used to craft replacement windows: aluminum, vinyl, and wood. What is Argon Gas and How Does if Impact Replacement Windows? What is argon gas and why is it commonly used in replacement windows? This is one of the most asked questions at our company. If you are wondering about it, you aren’t alone. This post is created to give a detailed answer about the question.